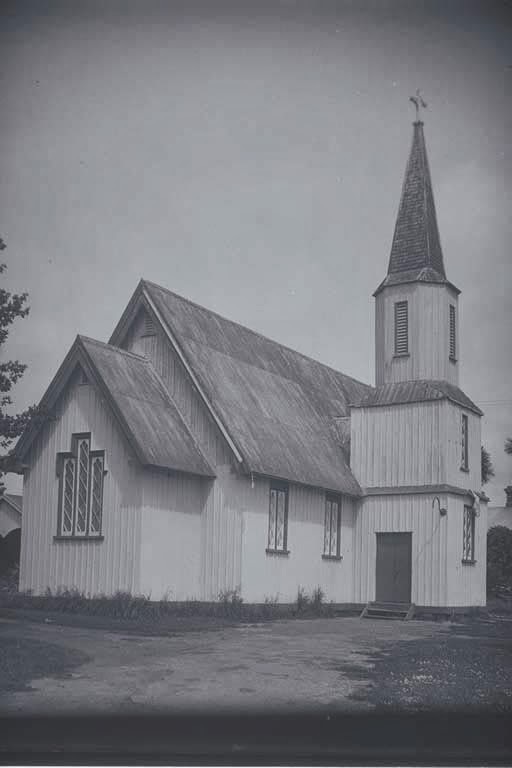 Selwyn Church began life as the second Holy Trinity Church in Victoria Avenue (now Mason Avenue) Otahuhu. The church was dedicated by Bishop Selwyn and Bishop Patteson on St John the Evangelist’s Day, 27 December 1863. The following poem was recently discovered among Selwyn Church’s archives. It was written by an anonymous, bored synodsman (a church member ) at the Christchurch synod in 1969, probably during a lengthy and tedious debate on the ordination of women. Enjoy! Would she wear surplice or mini-dress? For that’s her day for set and perm. Calling her Father – or is it Mother? Should she be priest or maybe priestess? The Vicar finds that a nylon has started to run. Would she be Vicar, Vicaress or Vixen? To me it’s a case of simple biology. About 21 November 1927 Holy Trinity was dismantled and loaded onto two trailers, and a traction engine towed each trailer to the corner of First Avenue (now Hain Avenue) Mangere East. It took two days to complete the move, and Mr Rhodes, the removal contractor, had some trouble getting the old church safely across the railway line at Mangere Crossing. The timbers of the old steeple were not strong enough to survive the ordeal. 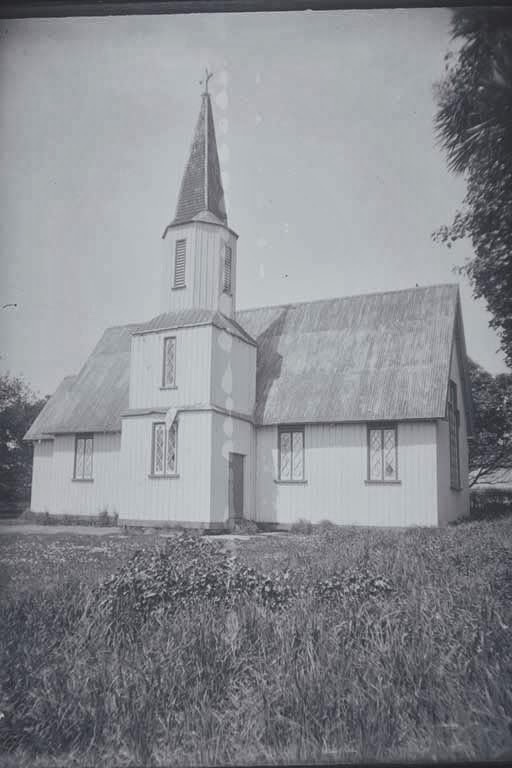 Therefore when the church was re-erected in Mangere East the steeple had to be altered and shortened. 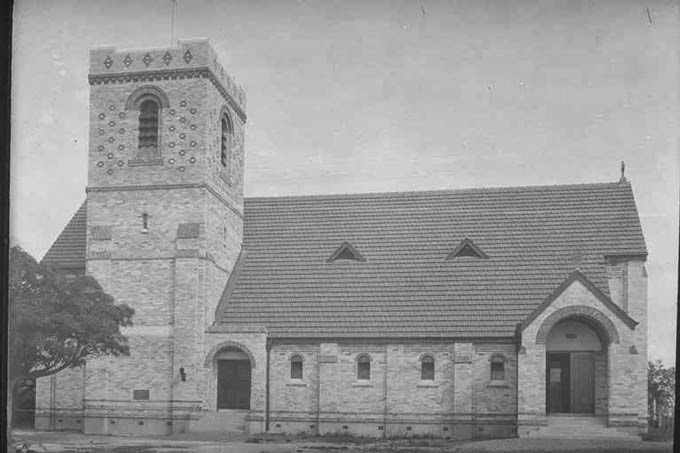 The church was re-dedicated as Selwyn Church by Archbishop Averill on Palm Sunday, 1 April 1928. 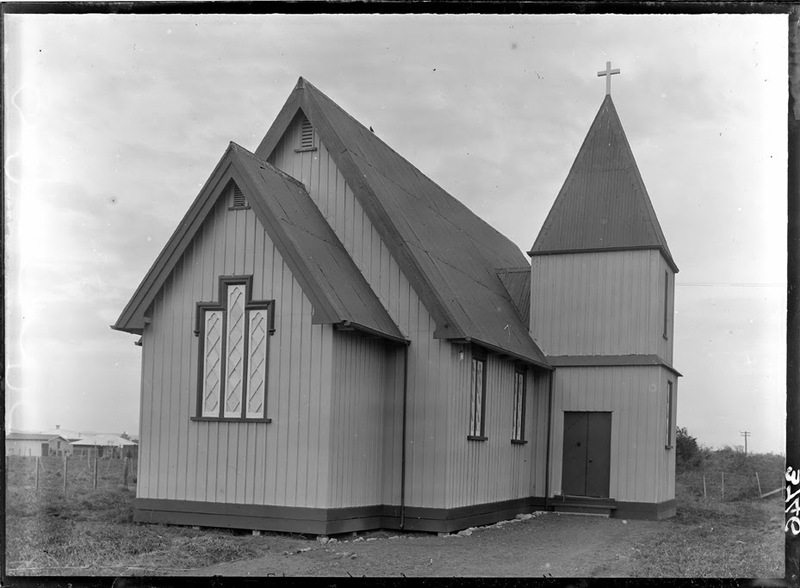 In Otahuhu, the wooden church was replaced by a bigger brick building, which was dedicated by that busy man Archbishop Averill on 14 October 1928.